Born in Rimertown (Rowan County) in 1920, Ralph Ketner later co-founded Food Town/Lion in 1957 and helped revolutionize the grocery industry. Image courtesy of The Salisbury Post. Pictured above is Food Town store #1 in Salisbury, as it appeared in the 1950s. Image courtesy of The Salisbury Post. On September 5, 1990, this historical marker was erected at the site of Food Town #1. Image courtesy of the North Carolina History Project. Since 1957, Food Town/Lion has grown into one of the most successful grocery chains in the country. Above is the Food Lion corporate headquarters in Salisbury. Image courtesy of The Salisbury Post. A generous donation from the Ketners resulted in the 1989 construction of the Ralph W. Ketner School of Business at Catawba College in Salisbury, North Carolina. 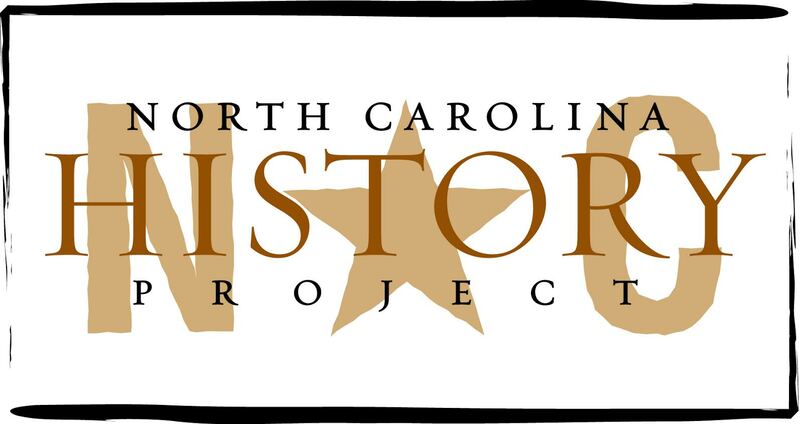 Image courtesy of the North Carolina History Project. Son of George Robert (Bob) Ketner and Effie Yost Ketner, Ralph W. Ketner was born on September 20, 1920 in Rimertown in Rowan County. In 1923, the Ketner family moved to Salisbury, North Carolina, where Ralph Ketner’s father, formerly a farmer, started a butcher shop and provided his six children an example of entrepreneurship and innovation that displayed how to make a profit without cheating people. At the age of five during the winter of 1926, he battled pneumonia and barely survived; his mother was less fortunate. Bob Ketner remarried in 1928 and young Ralph now had a step-mother: Allene Glover. At nine, Ralph started working in the grocery business, delivering meat orders on his bicycle for his father. All seemed stable once again until 1932, when eleven-year-old Ralph’s father died. Such childhood troubles and work experiences undoubtedly helped to develop a hardiness and creativity that benefited Ralph Ketner when pioneering the “cutting-cost” concept as Food Town president. But as a young man and professional, Ketner went through an interregnum marked with indecision. When he enrolled in 1937 as an accounting major at Tri-State College in Angola, Indiana, he seemed on the right path. Yet Ketner never graduated, for a fear of public-speaking prevented him from taking required speech courses. After Tri-State, Ketner returned to North Carolina and worked in various jobs, including for his brother, Glenn, at Ketner Gocery; in the accounts payable department at Cannon Mills; and as an auditor at Cabarrus Bank (also owned by Cannon Mills). When World War II came, Ketner answered the call in 1942 to defend America. While serving in Africa and Italy, the innovative Ketner found ways to cut costs and eliminate bureaucratic inefficiencies in the United States Army. In particular, while in the 302nd Ordinance Battalion in Casablanca, Morocco, Ketner created an inventory form that allowed one man to do the job of five. After the war, an indecisive Ketner returned to North Carolina and worked nine jobs, including positions as an IRS agent, as a buyer for his brother’s grocery stores, and as a buyer for Winn-Dixie, before embarking on an entrepreneurial career as president of Food Town. While working as a buyer for Excel Grocery (Glenn Ketner’s stores) Ketner displayed business savvy and became the first buyer to ask for cash discount on gross amount of the shipment. Although he struggled mightily with Nescafe to get the allowance, the Salisbury resident eventually won the debate and established a precedent for other grocery companies; that is, grocery stores could still receive the usual discount, for instance, on the value of a 10,000 item order, no matter if a company decided to give customers a discount and lower the total price of the entire order. After Glenn Ketner merged his ten stores with John Milner’s fifteen Piggly-Wiggly stores in 1955, Ralph Ketner enjoyed thinking about the possibilities that the Ketner-Milner merger offered; in fact, his brother seemed “poised to dominate the grocery business in North Carolina,” but Glenn soon sold his operation to Winn-Dixie. Ralph Ketner resigned in 1957 and opened a grocery store with two men who had also worked for Glenn Ketner and had then gone on to work for Winn-Dixie: his brother, Brown, and shared friend, Wilson Smith. Their entrepreneurial adventure had a somewhat rocky beginning, however. The three Rowan countians had gathered $62,500 in 1957 but still needed the necessary capital to start a business. Ignorant of SEC regulations requiring companies with over 10 shareholders to register with the federal agency, the three called 250 people to buy shares and convinced 122 of them to invest a total of $62,500; some bought as little as five shares and one as much as two thousand. The moderate growth of Food Town during its first decade (1957-1967) provided more learning experiences than profits for its three founders. They rented a store from Glenn Ketner (located on W. Innes Street near Catawba College in Salisbury) and began engaging in a price war with Winn-Dixie. Ketner worked feverishly to attract customers. His ideas included Prescriptions at Cost (PAC) and buy-one-get-one-free and sending vases to people in the hospital and selling gasoline to Food Town customers at absolute cost. Ketner also discovered that bailing and recycling cardboard, instead of having it burned, saved operating costs. In dealing with various companies such as Campbell Soups and Merchants Distributors, Inc., of Hickory, Ketner also learned how to make the supermarket industry veterans capitulate to his demands. During this time, Food Town also purchased $100,000 worth of Bi-Lo stock (although it sold for $4 million in the early 1980s, Ketner would have been better investing that money in Food Town, for the amount would have earned 40 million). In all, Food Town in its first decade grew moderately under the leadership of Ralph Ketner to 7 stores with $5 million in sales. When Ketner daringly slashed prices in January 1968 and advertised Food Town as having the “Lowest Food Prices in North Carolina” (LFPINC), annual sales and profits soared. After reading Ohio grocer Robert Stragand’s article in Progressive Grocer (Nov. 1967), Ketner realized that he needed to implement the cost-cutting theory—lower prices on everything to move more volume and make a larger profit. Ketner sought Stragand’s counsel and returned to North Carolina and spent three days calculating how to implement the cost-cutting concept. To take the risk and break even Ketner needed to increase sales by fifty-percent by the year’s end. When the time came, he happily reported that the sales of nationally advertised brands—all that Food Town carried at the time—had increased eighty-percent. This surprising yet satisfying result reinforced Ketner’s belief that Providence wanted him to continue to slash prices so that people could increase their standard of living; even in towns with only one store, Ketner, remembering what his father taught him concerning making a profit, charged the same low price as in cities such as Charlotte with multiple supermarket chains and stores. Thus was born the food price rebellion of the 1960s and the LFPINC concept that produced a 35-percent annual growth until 1991—the year Ketner retired. The 1970s and 1980s were decades of tremendous corporate growth and struggle against government action that indirectly raised prices for customers. For instance, knowing that Salisbury would indeed annex the area in which his warehouse stood yet knowing that an appeal would postpone the payment of taxes until the court decided the case, Ketner hired a lawyer to bring an appeal, and so Food Town saved approximately $600,000 before it started paying city taxes. In another instance, the Federal Trade Commission in 1976 ruled that Food Town could not merge with Lowe’s Foods of North Wilkesboro, for the merger might create a monopoly in North Carolina. Even so, argues Ketner, customers would have benefited, for the LFPINC concept would have been widespread. In the early 1980s, the attorney general of Virginia accused Food Lion of false advertisement and made it change its slogans from “lower food prices” to “low food prices” and to avoid legal troubles as the company expanded across the Southeast, Ketner changed the name of the chain to Food Lion in 1983. Meanwhile, the number of Food Town/Lion stores seemed to increase almost exponentially (226 stores by 1983, for instance, and 475 by 1986); its growth outdistanced its competitors including Winn-Dixie and A&P and even exceeded that of Wal-Mart. While president of the company, Ketner manned the helm of Food Town/Food Lion and outmaneuvered others who wished to take over or influence it. In 1974 Delhaize Company expressed interest in buying one-third interest in Food Town, but Ketner remained uninterested until the Belgian Company agreed to his stipulations– all thirty-one, including leaving the management of the company in American hands. Possibly the most important Delhaize concession allowed Ketner and Food Town to have one more appointment on the Board of Directors, no matter its numerical size. Ketner’s appointments without fail voted with him and formed a controlling bloc. But as Food Lion stock split and then split again, Delhaize kept purchasing enough stock to have at least a fifty-percent interest in the grocery chain—at least until the stock was divided into voting (Class A) and non-voting (Class B). Ketner’s professional desire to find creative solutions and eliminate inefficiencies so that the customer might benefit also contributed to the exponential growth of Food Town/Food Lion. The typical workweek for Ketner ranged from 80 to 100 hours per week. Yet more valuable than hard work were his ideas. Unlike other companies, Food Town, for example, first promoted the idea of centralized buying; with all buyers in Salisbury, the company profited greatly from limiting its bureaucracy and lowering operating costs and thereby cutting even more costs for shoppers. Ketner also introduced the concept of delayed dating (a thirty-day delay in payment for shipments to warehouses that in particular helped Food Town avoid borrowing money to open a warehouse in South Carolina). Ketner was also one of the first to name his competition in advertisements. Another creative idea that changed the supermarket industry was forward-buying. Serving as chairman and CEO, Ketner never gave himself or the other two co-founders of Food Town any stock options, believing their fate rested with the fate of Food Town. To ensure its success, Ketner placed customers first, employees second, and shareholders third; if all three were satisfied in descending order, then Ketner had faith that he, too, would benefit. As a result, he led Food Town to annual sales of approximately $1 billion in 1983, the year the company’s name changed to Food Lion. In 1985 Ketner turned the company and its top administrative position over to Tom Smith, a former bagger at Food Town during the 1960s. When Ketner retired in 1991, the grocery chain consisted of 800 stores grossing $8.3 billion. Many believe that more than any other North Carolinian Ketner helped create millionaires. They point out, for example, that someone who bought $1,000 worth of stock in 1957, and held on to it, would have been worth $16 million in 1989. Thirty-one of the original stockholders were millionaires by 1982. Zeda Barger of Salisbury, for instance, invested $500 in Food Town in 1957 and left the stock untouched, truly not knowing that it could make or lose money and believing that she had loaned Ketner the amount. But her untouched stock was worth approximately $3 million by the early 1990s. During retirement, Ketner and his second wife, Anne Blizzard Ketner, have helped numerous charitable enterprises and have never forgotten the community that helped start the cost-cutting enterprise of Food Town/Lion. According to Ralph Ketner, he has given approximately 35% of his net worth to various charities, including his favorite, The Salvation Army. In partnership with the City of Salisbury, the Ketners have helped save the downtown Wallace building. The Ketners have also given to build an education wing at the National 4-H Center in Chevy Chase, Maryland and to Helping Ourselves Meet Emergencies (HOME) in Charleston, South Carolina. The Ketners have also donated to Habitat for Humanity and Rowan Vocational Opportunities and have taken a special interest in higher education, contributing to Livingstone College and Duke University and in particular to Catawba College in Salisbury, North Carolina, and Tri-State College in Angola, Indiana. In 2000, the Ketners started the Rowan County Scholarships, and in 2004, the Ketners ensured, for example, that 115 Rowan County students attended Catawba College. In giving these awards, the Ketners encourage recipients to work hard in college and in life and always give back to the community that helped make them successful. These award recipients benefit also from a $3 million gift given in 1989 from the Ketners to build the Ralph W. Ketner School of Business. Even in retirement, Ketner remains innovative and seeks ways to cut costs. One notable idea was when he tried to increase homeownership among underprivileged families. Federal regulations, however, prevented him from buying and selling homes at low cost and offering low-interest loans that made low monthly payments possible. Another notable program was developed in 1991, when Ketner established the Ralph W. Ketner Employee Productivity Award to reward state and county government employees who found ways to cut the costs of running government. Although Ketner abandoned the state program because it prevented management from participating, the North Carolina County Association Award Programs has been a great success. Each year Ketner donates $10,000 to be awarded to 10 county employees (each recipient receives $1,000) who display innovation in making county governments work more efficiently. According to Ketner, his $150,000 from 1991-2006 has saved the state of North Carolina and its counties approximately $38 million. The former president of Food Town/Lion now serves as Executive-in-Residence at the Ketner School of Business and for no gratuity offers consulting services to budding and/or struggling entrepreneurs. Catawba College Press Release, “Rowan County Students Benefit from Ketner Scholarships at Catawba College” http://www.catawba.edu/news/archive/2004/10/01/ketnerschol04.aspx (accessed 15 September 2006); Ralph Ketner (compiled by Jason Lesley and Mark Wineka), Five Fast Pennies: “We’d Rather Make Five Fast Pennies Than One Slow Nickel (Salisbury, 1994); New Hanover County News Release, “Ketner Winners on NHCTV,” http://www.nhcgov.com/NewsReleases/NR2003/082803b.asp (accessed 15 September 2006); NCSpin, “North Carolina Notable for July 7, 2005,” http://www.ncspin.com/ncnotables.2005.07.07.php (accessed 14 September 2006); North Carolina Business Hall of Fame, “Ralph Wright Ketner,” http://www.historync.org/laureate%20-%20Ralph%20Ketner.htm (accessed 14 September 2006); Mark Wineka and Jason Lesley, Lion’s Share: How Three Small-Town Grocers Created America’s Fastest-Growing Supermarket Chain and Made Millionaires of Scores of Their North Carolina Friends and Neighbors (Asheboro, NC, 1991).